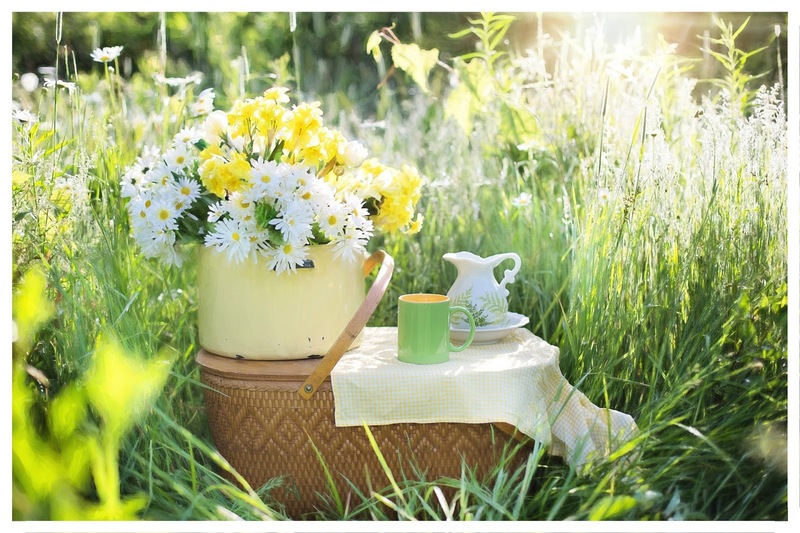 Genealogy Blog Potluck Picnic: Don't Forget To Check The Register Of Deeds! If you are not familiar with the Genealogy Blog Party, be sure to stop over to host Elizabeth O'Neal's blog Little Bytes of Life for more information. 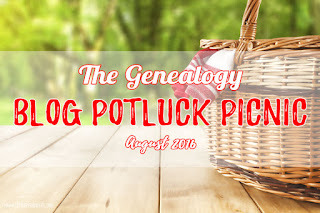 Elizabeth O'Neal is hosting a Genealogy Blog Potluck Picnic! All are invited to bring a dish, and by dish she means a favorite genealogy resource. One of my favorite things to do is to check the register of deeds for whatever county I am currently researching. Many have online portals where you can look up deeds and sometimes vital records of your ancestors. I have to give a special shout out of appreciation to two offices in particular both of which are located in North Carolina. The Sampson County Register Deeds and New Hanover County Register of Deeds online portals each provided with me with the means to make some amazing discoveries about my ancestors. In my post 52 Ancestors 2015 Edition: #17 Gabriel Kerr --Putting Together The Pieces Of His Story, I was able to extend out a timeline of my paternal 2nd great grand uncle Gabriel Kerr life by tracking the purchases and sales of land he made in his lifetime in Sampson County, NC. I was also able to learn the name of his wife and child. Their names I would have never learned if I hadn't been able to look at land records of my Kerr ancestors. Another great discovery I made was thanks to a resource at the New Hanover County Register of Deeds. In my post What A Great Resource! Slave Deeds Index At The New Hanover County Register Of Deeds, I wrote about how I found a slave named Jacob listed in an index. This slave was sold by a man named John Herring to another man named James Kerr. That James Kerr it turns out owned my paternal 3rd great grandfather Jacob Kerr of Sampson County, NC. Perhaps, I may be able to someday identify the names of Jacob's parents by studying further the family of John Herring. When researching your ancestors, don't forget to check the register of deeds! 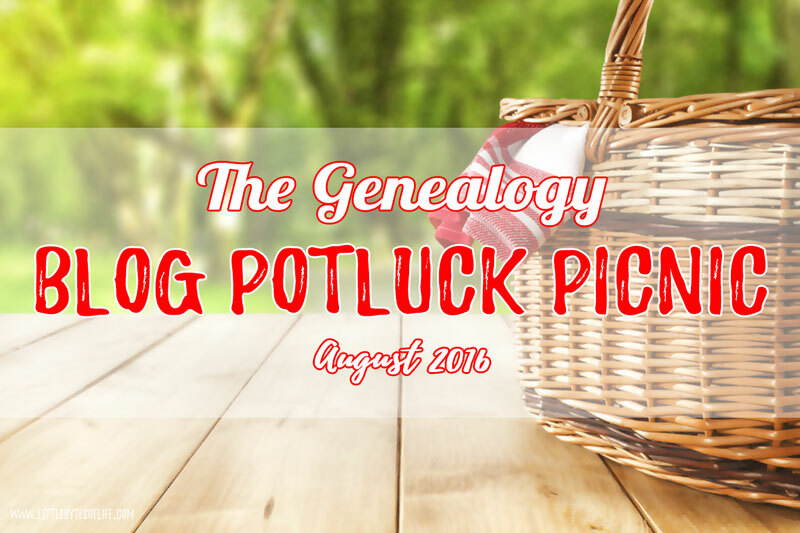 If you wish to participate in the Genealogy Blog Potluck Picnic, there's still time. You have until August 29, 2016, at midnight, to add your favorite genealogy resource to the August potluck picnic collection. Joining the party is simple: visit this link to enter your post information. Don’t forget to visit the posts of at least three other party goers and leave a comment. You can see what other bloggers have brought to the pot luck here. Thanks for the hint. As far as I know, the state/counties I'm most interested in (North Dakota) don't offer tools like this, though the state does have a public death index that I use frequently. I'll definitely keep my eyes open for sites that offer similar features to what is available in the counties you mention. Thanks for stopping by. It's too bad that North Dakota doesn't have tools like this. Hey things change so quickly now online, maybe they'll have something like this not far off in the future. North Carolina is way ahead of the crowd in terms of online deed access. I am hoping FamilySearch will jump in and start digitizing some of those records because I don't think counties have the money for a project like that. I have found all kinds of interesting details in land records. I think they are a way underused resource. Thanks for sharing. Thanks for stopping by Linda :) It would be nice if Family Search could help with digitizing some of these records. I have just started using the Register of Deeds in Craven County, NC, now that all of them are online. I can't believe how much I have been able to get from them. It is worth the look and helps answer many questions one has. I also did not know about The "Potluck"! If it is available next month, I will participate. Thanks for sharing. Isn't awesome that they have this info online now. It's been so very helpful. I have a lot of research to get to when I have a little more free time. The blog party happens every month. Just check Elizabeth O'Neals blog Little Bytes Of Life around midmonth for the new topic/theme. I really need to work more with registers of deeds so thank you for this timely reminder! Your welcome! Thanks for stopping by my blog and leaving your comment. Good luck with your research. I keep saying I'm going to order some deed records to look at on microfilm because the records I need from Lowndes County, Alabama aren't available online. Oh Mr. Smith....Where Shall I Begin?